Load and Convert PS & EPS formats to PDF and Raster Images within any .NET application. Open NuGet package manager, search for Aspose.EPS and install. You may also use the following command from the Package Manager Console. Aspose.EPS for .NET is a reliable and standalone PostScript and Encapsulated PostScript conversion API. It allows the .NET developers to convert PS and EPS files to PDF documents, raster images such as BMP, EMF, GIF, JPEG, PNG, TIFF and more formats. An overview of Aspose.EPS for .NET API. Aspose.EPS for .NET supports any .NET framework starting from 2.0 and can work on 32-bit & 64-bit operating systems. 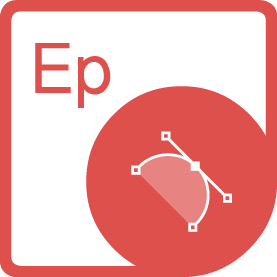 Aspose.EPS for .NET supports PS & EPS file formats. Aspose.EPS for .NET provides the capability to export PS & EPS files to PDF format, with just a few lines of code. Aspose.EPS for .NET allows to supress errors for the conversion process in a way that errors are stored in an enumeration to be reviewed later. .NET developers can use the API to automate scenarios that may help them on their way.